Does your home—or a home you’re building—need new rain gutters in New Jersey, New York or a surrounding area? The experts at Eastern Contractor Services can help. 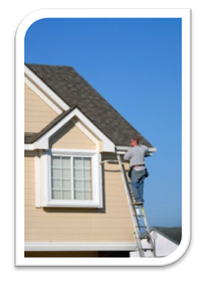 We offer high-quality gutter installation and replacement for homeowners and contractors. We install seamless aluminum, ½ round, galvanized and copper gutters. We can also install leader heads and scuppers to make your home completely custom and unique. To learn more about our rain gutters in New Jersey and the surrounding areas, fill out a contact form today! What Is the Importance of Properly Installed Gutters? Gutters have a number of different purposes and are vital in the protection and well-being of your home, and our team understands that. If your rain gutters in New Jersey or Rockland County, New York are not installed properly or not replaced when they have been damaged, they can cause serious problems for your home. Contact us online today if you’re experiencing any problems! When Should I Replace My Rain Gutters in the New Jersey Area? Although gutter replacement may seem overwhelming, it can actually save you money in the long run. Eastern Contractor Services goes above and beyond to make sure your gutter replacement project is as simple and stress-free as possible. Rain gutters are effective at directing rainwater away from your home, but unfortunately, they can get clogged with leaves and other debris. Gutters are particularly prone to clogging in the fall and spring, but leaf screens are beneficial all year long. Gutter guards—also called gutter covers, gutter screens and leaf screens—are systems engineered to help prevent clogs by keeping out debris without blocking water flow. They can mean the difference between spending a weekend relaxing and spending a weekend cleaning out clogged gutters and downspouts! Ready to Install New Rain Gutters in NJ or Rockland County, NY? Whether you need gutters or gutter guards in the New Jersey area, Eastern Contractor Services is ready to help. We offer free estimates on all our services, so don’t hesitate to reach out for a quote. To learn more about our rain gutters or gutter guard installation services in New Jersey or Rockland County, New York, please contact us online today!